Many questions regarding the pathogenesis of human autoimmune diabetes have not been answered, including the nature of the environmental stimulus and the identity of the cell subset responsible for precipitating disease. We have determined that a subpopulation of MAIT cells is significantly expanded in diabetes patients both before and after the initiation of disease. Based upon our recent studies, Dr. Sarvetnick believes that this cell population represents a critical driver in human type 1 diabetes (T1D). Her current approach is to first to make observations from analysis of the immune profile in humans, and then to use those results to perform the necessary mechanistic work using murine models, which is the opposite approach to what she has done in the past. Therefore, in 2010, she started the Heartland Diabetes Project, which represents a collaborative effort between her laboratory and the UNMC/Children’s Hospital Pediatric Endocrine clinic. They have access to an average of 160 new onset patients each year. 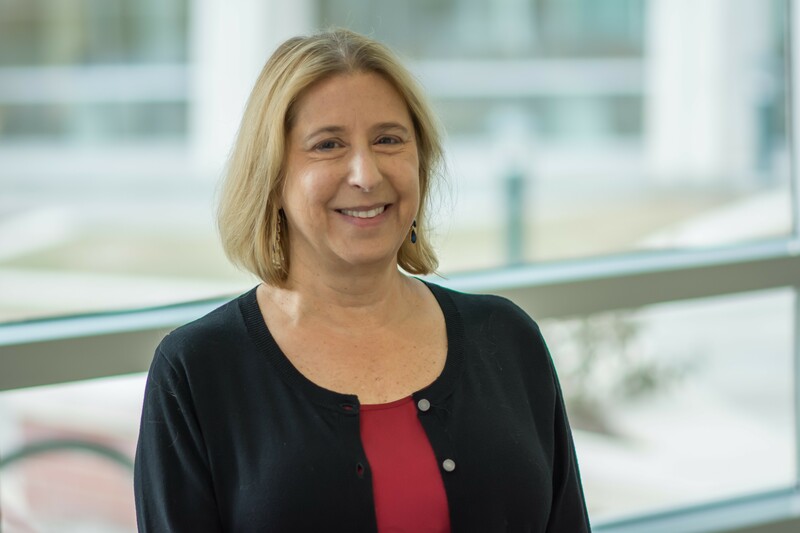 Her laboratory at UNMC has developed and validated large flow cytometry panels for the purpose of profiling many immune subsets in pre-onset and recent onset diabetes patients. Chaconas, G., Harshey, R.M., Sarvetnick, N., Bukhari, A.I. (1981) Predominant end-products of prophage Mu DNA transposition during the lytic cycle are replicon fusions. Journal of. Molecular Biology, 150(3):341- 359. Chaconas G., Harshey, R.M., Sarevetnick, N., Bukhari, A.I. (1981) Mechanism of bacteriophage Mu DNA transposition. Cold Spring Harbor Symposium Quantitative Biology, Cold Spring Harbor Press pp. 311-322. Sarvetnick, N., Fox, H.S., Mann, E., Mains, P.E., Elliott, R.W., Silver, L.M. (1986) Nonhomologous pairing in mice heterozygous for a t haplotype can produce recombinant chromosomes with duplications and deletions. Genetics, 113(3):723-734. Sarvetnick, N., Liggitt, D., Pitts, S.L., Hansen, S.E., Stewart, T.A. (1988) Insulin-dependent diabetes mellitus induced in transgenic mice by ectopic expression of class II MHC and interferon-gamma. Cell, 52(5):773-782. Sarvetnick, N., Tsai, J.Y., Fox, H., Pilder, S.H., Silver, L.M. (1989) A mouse chromosome 17 gene encodes a testes-specific transcript with unusual properties. Immunogenetics, 30(1):34-41. Sarvetnick, N., Shizuru, J., Liggitt, D., and Stewart, T. (1989) Inflammatory destruction of pancreatic beta cells in gamma-interferon transgenic mice. Cold Spring Harbor Symposium Quantitative Biology, Cold Spring Harbor Press pp. 837-842. Sarvetnick, N., Fox, H. (1990) IFN- and the sexual dimorphism of autoimmune disease. Molecular Biology Medicine, 7(4):323-331. Sarvetnick, N. (1990) Transgenic Models of Diabetes. Current Opinion in Immunology, 2(4):604-606. Sarvetnick, N., Shizuru, J., Liggitt, D., Martin, L., McIntyre, B., Gregory, A., Parslow, T., Stewart, T. (1990) Loss of pancreatic islet tolerance induced by beta-cell expression of IFN Nature, 346:844-847. Sarvetnick, N. (1991) Transgenic Mouse Models for Growth Factor Studies. Methods in Enzymology, 198:519-525. Sarvetnick, N. (1991) IFN-g Expressed in Pancreatic Beta Cells- A review of the induced Pathology. LAD III: Lessons from Animals Diabetes (E. Shafrir, Ed.) Smith Gordon, New York. Sarvetnick, N. (1991) Transgenic Mouse Models for Growth Factor Studies In: Methods in Enzymology, Academic Press, Inc. 198:519-525. Grodsky, G.M., Cullen, B., Ma, M., Sarvetnick, N. (1991) Characteristics of Insulin Secretion from the perfused pancreas of diabetic transgenic mice expressing MHC class II in their beta cells. LAD III: Lessons from Animal Diabetes (E Shafrir, Ed.) Smith Gordon, NY. Shizuru, J., Sarvetnick, N. (1991) Transgenic models of Diabetes Mellitus. (1991) Trends in Endocrinology & Metabolism, 3:97-104. Weatherall, D., Sarvetnick, N., Shizuru J.A. (1992) Genetic control of Diabetes Mellitus Diabetologia, 35(2):1-7. Lee, M-S., Sarvetnick, N. (1992) Transgenes in Autoimmunity. Current Opinion in Immunology, 4(6):723- 727. Grodsky, G.M., Ma, Y.H., Cullen, B., Sarvetnick, N. (1992) Effect on insulin production sorting and secretion by major histocompatibility complex class II gene expression in the pancreatic beta-cell of transgenic mice. Endocrinology, 131(2):933-938. Wogensen, L, Sarvetnick, N. (1992) Cytokines and type 1 diabetes. Clinical Applications of Cytokines. (A Gearing, J Rossio, J Oppenheim, Eds.) Oxford University Press, NY pp.123-127. Sarvetnick, N, Gu, D-L. (1992) Regeneration of pancreatic endocrine cells in interferon-gamma transgenic mice. In: Pancreative Islet Cell Regeneration and Growth, (AI Vinik, Ed.) Plenum Press, NY 321:85-94. Gu, D., Sarvetnick, N. (1993) Epithelial cell proliferation and islet neogenesis in IFN- transgenic mice. Development, 118(1):33-46. Sarvetnick, N., Gurushanthaiah, D., Han, N., Prudent, J., Shultz, P., Lerner, R. (1993) Increasing the chemical potential of the germline antibody repertoire. Proceedings of the. National Academy of Sciences. (USA), 90(9):4008-4012. Lee, M-S, Sarvetnick, N. (1993) Transgenic animals: Contribution of transgenic constructs to the etiology and the pathogenesis of diabetes. (E. Shafrir, Ed.) Annual review of advances in the research of animal’s diabetes. Smith Gordon, New York, pp. 241-246. Sarvetnick, N. (1993) Islet tolerance in humans and transgenic mice. Molecular Mechanisms of Immunological Self Recognition. (H. Vogel., Ed.) Academic Press, San Diego, CA, pp.183-186. Wogensen, L., Huang, X., Sarvetnick, N. (1993) Leukocyte extravasation into the pancreatic tissue in transgenic mice expressing Interleukin 10 in the islets of Langerhans. Journal of Experimental Medicine, 178(1):175-185. Wogensen, L., Ma, Y.H., Grodsky, G.M., Robertson, R.P., Burton, F., Sutcliffe, J.G., Sarvetnick, N. (1993) Functional effects of transgenic expression of cholera toxin in pancreatic beta cells. Molecular Cell Endocrinology, 98(1):33-42. Wogensen, L., Lee, M-S., Sarvetnick, N. (1994) Production of interleukin 10 by islet cells accelerates immune-mediated destruction of beta cells in nonobese diabetic mice. Journal of Experimental Medicine, 179(4):1379-1384. Geiger, K., Howes, E., Gallina, M., Huang, X.J., Travis, G.H., Sarvetnick, N. (1994) Transgenic mice expressing IFN- in the retina develop cellular inflammation of the eye and photoreceptor loss. Investigative Ophthalmology Visual Sciences, 35(6):2667-2682. Lee, M-S., Wogensen, L., Shizuru, J., Oldstone, M., Sarvetnick, N. (1994) Pancreatic islet production of murine interleukin-10 does not inhibit immune mediated tissue destruction. Journal of Clinical Investigation, 93(3):1332-1338. Lee, M-S., Sarvetnick, N. (1994) Induction of vascular addressins and adhesion molecules in the pancreas of Interferon- transgenic mice. Journal of Immunology 152(9):4597-4603. Gu, D., Lee, M.S., Krahl, T., Sarvetnick, N. (1994) Transitional cells in the regenerating pancreas. Development, 120(7):1873-1881. Wogensen, L., Molony, L., Gu, D., Krahl, T., Zhu, S., Sarvetnick, N. (1994) Postnatal anti-interferon- treatment prevents pancreatic inflammation in transgenic mice with beta-cell expression of interferon. Journal of Interferon Research, 14(3):111-116. Geiger, K., Howes, E.L., Sarvetnick, N. (1994) Ectopic expression of IFN- in the eye protects transgenic mice from intraocular HSV-1 infections. Journal of Virology, 68(9):5556-5567. Geiger, K., Sarvetnick, N. (1994) Local production of IFN- abrogates the intraocular immune privilege in transgenic mice and prevents the induction of ACAID. Journal of. Immunology. 153(11):5239-5246. Gu, D-L, Sarvetnick, N. (1994) Murine Transgenic Models of IDDM. Molecular Biology of Diabetes (B. Draznin and D. LeRoith , Eds.) Humana Press, Inc. 35-47. Lee, M-S, Sarvetnick, N. (1994) Immunological Studies Utilizing Cytokine Transgenic Mice. Transgenesis and Targeted Mutagenesis in Immunology (Bluethmann, Ed.) Academic Press, Inc. pp. 175-182. Gu, D-L, Sarvetnick, N. (1994) A transgenic model for studying islet development. Advances in Hormone Research. (C.W. Bardin, Ed.) Academic Press, Vol. 49:161-165. Geiger, K, Sarvetnick, N. (1994) MHC Class I Expression Contributes to the Development of Cataract in Transgenic Mice With Ectopic Expression of IFN-g. Advances in Ocular Immunology (Nussenblatt RB, Whitcup, SM, Caspi, RR and Gery I, Eds.) Elsevier Science Publishers, The Netherlands. pp. 135-138. Lee, M-S, Sarvetnick, N. (1994) IL-10 Transgenic Mice. Molecular Biology Intelligency Unit Book Series on IL-10 (J.E. de Vries and R de Waal Malefyt, Eds.) Landes Publishing Company, Austin, TX, pp. 135-139. Gu, D-L., Wogensen, L., Calcutt, N.A., Xia, C., Zhu, S., Merlie, J.P., Fox, H.S., Lindstrom, J., Powell, H.C., Sarvetnick, N. (1995) Myasthenia Gravis-like syndrome induced by expression of interferon-gamma in the neuromuscular junction. Journal of Experimental. Medicine, 181(2):547-557. Mueller, R., Sarvetnick, N. (1995) Transgenic/knockout mice – tools to study autoimmunity. Current Opinions in Immunology, 7(6):799-803. Lee, M.S., von Herrath, M., Reiser, H., Oldstone, M.B., Sarvetnick, N. (1995) Sensitization to self (virus) antigen by In situ expression of Interferon-. Journal of Clinical Investigation, 95(2):486-492. Dai, Y., Schwarz, E.M., Gu, D., Zhang, W.W., Sarvetnick, N., Verma, I.M. (1995) Cellular and humoral immune responses to adenoviral vectors containing factor IX gene: tolerization of both factor IX and vector antigens allows for long term expression. Proceedings of the National. Academy of. Sciences. (USA), 92(5):1401-1405. Geiger, K., Gurushanthaiah, D., Howes, E., Lewandowski, G., Bloom, F.E., Sarvetnick, N. (1995) Cytokine- mediated survival from lethal HSV-infection: role of programmed neuronal death. Proceedings of the National Academy of Sciences (USA), 92(8):3411-3415. Lee, M.S., Gu, D-L., Feng, L., Curriden, S., Arnush, M., Krahl, T., Gurushanthaiah, D., Wilson, C.B., Loskutoff, D.L., Fox, H., Sarvetnick, N. (1995) Accumulation of extracellular matrix and developmental dysregulation in the pancreas by transgenic production of TGF-1. American Journal of Pathology, 147:42-52. Gu, D-L., O'Reilly, L.A., Molony, L., Cooke, A., Sarvetnick, N. (1995) The role of infiltrating macrophages in islet destruction and regrowth in a transgenic model. Journal of Autoimmunity, 8(4):483-492. Geiger, K., Lee, M-S., Baugh, C., Sarvetnick, N. (1995) Protective effects of IFN-in intraocular HSV-1 infection do not depend on MHC class I or class II expression. Journal of Neurovirology, 1(5-6):405-409. Gu, D-L., Molony, L., Krahl, T., Sarvetnick, N. (1995) Treatment of IFN-transgenic mice with anti-IFN- reveals the remodeling capacity of the adult pancreas. Diabetes, 44(10):1161-1164. Gu, D-L., Arnush, M., Sawyer, S.P., Sarvetnick, N. (1995) Transgenic mice expressing IFN-in pancreatic beta-cells are resistant to streptozotocin induced diabetes. American Journal of Physiology, 269:1089-1094. Geiger, K, Sarvetnick, N. (1995) The Influence of Cytokines on the Central Nervous System of Transgenic Mice. Transgenic Models of Human Viral and Immunological Diseases: Vol. : Curr. Topics Microbio. & Immunol. (FV Chaser & MBA Oldstone, Eds.) Springier Overflag, Germany, pp.101-117. Balasa, B., Sarvetnick, N. (1996) The paradoxical effects of interleukin-10 in the immunoregulation of autoimmune diabetes. Journal of. Autoimmunity, 9(2):283-286. Geiger, K.D., Sarvetnick, N. (1996) Transgenic Expression of IFN- in the Eye as a Model for Studying Ocular Inflammatory Disease. Methods. 10(3):392-405. Gianani, R., Sarvetnick, N. (1996) Viruses, cytokines, antigens and autoimmunity. Proceedings of National Academy of Sciences, (USA), 93(6):2257-2259. Jones, E., Sarvetnick, N. (1996) Transgenic Animal Models: Insights into the regulation and maintenance of islet cell mass. Diabetes Reviews, 4: 264-273. Lee, M.S., Sawyer, S., Arnush, M., Krahl, T., von Herrath, M., Oldstone, M.A., Sarvetnick, N. (1996) TGF- fails to inhibit allograft rejection or virus-induced autoimmune diabetes in transgenic mice. Transplantation, 61(7):1112-1115. Mueller, R., Lee, M.S., Sawyer, S.P., Sarvetnick, N. (1996) Transgenic expression of interleukin-10 in the pancreas renders resistant mice susceptible to low dose streptozotocin-induced diabetes. Journal of Autoimmunity, 9(2):151-158. Arnush, M., Gu, D-L., Baugh, C., Sawyer, S.P., Mroczkowski, B., Krahl, T., Sarvetnick, N. (1996) Growth factors in the regenerating pancreas of gamma-interferon transgenic mice. Laboratory Investigation. 74(6):985-990. Lee, M-S., Mueller, R., Wicker, L.S., Peterson, L.B., Sarvetnick, N. (1996) IL-10 is necessary and sufficient for autoimmune diabetes in conjunction with NOD MHC homozygosity. Journal of Experimental Medicine, 183(6):2663-2668. Morgan, D.J., Liblau, R., Scott, B., Fleck, S., McDevitt, J.O., Sarvetnick, N., Lo, D., Sherman, L.A. (1996) CD8+ T cell-mediated spontaneous diabetes in neonatal mice. Journal of Immunology 157(3):978-983. Mueller, R., Krahl, T., Sarvetnick, N. (1996) Pancreatic expression of interleukin-4 abrogates insulitis and autoimmune diabetes in nonobese diabetic (NOD) mice. Journal of Experimental Medicine, 184(3):1093- 1100. Geiger, K.D., Sarvetnick, N. (1996) Ocular production of interferon-gamma and lack of major histocompatibility complex molecules induce immunological changes in the intraocular environment. German Journal of Ophthalmology, 5(6):309-314. Sarvetnick, N. (1996) Mechanisms of cytokine-mediated localized immunoprotection. Journal of Experimental Medicine, 184(5):1597-1600. Tian, J., Clare-Salzler, M., Herschenfeld, A., Middleton, B., Newman, D., Mueller, R., Arita, S., Evans, C., Atkinson, M.A., Mullen, Y., Sarvetnick, N., Tobin, A.J., Lehmann, P.V., Kaufman, D.L. (1996) Modulating autoimmune responses to GAD inhibits disease progression and prolongs islet graft survival in diabetes- prone mice. Nature Medicine, 2(12):1348-1353. Lee M-S, Sarvetnick, N., (1996) Cytokine Transgenic Mice and Autoimmunity In: Genetic Models of Immune and Inflammatory Diseases Proceedings from Serena Symposia-Savannah GA, Springer-Verlag New York, Inc. (Abul K. Abbas & Richard A. Flavell Eds.) pp.121-128. Geiger, K, Bloom, FE, Sarvetnick, N. (1996) Apoptosis Techniques and Protocols In: Neuromethods. The Humana Press Inc. (A.A. Boulton, G.B. Baker, and Judes Poirier, Eds.). pp. 217-235. Geiger, KD, Sarvetnick, N. (1996) Transgenic expression of IFN- in the eye as a model to study ocular inflammatory disease. NeuroProtocols (Iain Campbell, Ed.) Academic Press, San Diego, CA. pp. 392-405. Allison, J, Miller, J, Sarvetnick, N., (1996) Insulin dependent diabetes mellitus.Role of Cytokines in Autoimmunity (M. Feldmann and F.M Brennan, Eds.) R.G. Landes Publishing Company, Austin, TX. pp. 49-75. Horwitz, M, Sarvetnick, N. (1996) Viruses and Autoimmunity ANNALES DE L'INSTITUT PASTEUR\actualités. (Ed. GN Cohen) Elsevier press; France. p.81. Sarvetnick, N. (1997) IFN- IGIF, and IDDM. Journal of Clinical Investigation, 99(3):371-372. Lee, M-S., Sarvetnick, N. (1997) Fetal exposure to interferon-leads to induction of antigen-presenting molecules and leukocyte recruitment. Autoimmunity, 25(3):147-155. Lee, M-S., Wicker, L.S., Peterson, L.B., Sarvetnick, N. (1997) Pancreatic IL-10 induces diabetes in NOD- B6-Idd3-Idd10 mice. Autoimmunity, 26(4):215-221. Mueller, R., Krahl, T., Sarvetnick, N. (1997) Tissue-specific expression of IL-4 induces extracellular matrix accumulation and extravasation of B cells. Laboratory Investigation, 76(1):117-128. Gu D-L., Arnush, M., Sarvetnick, N. (1997) Endocrine-exocrine intermediate cells in STZ treated Ins-IFN transgenic mice. Pancreas, 15:246-250. O'Reilly, L.A., Gu, D., Sarvetnick, N., Edlund, H., Phillips, J.M., Fulfort, T., Cooke, A. (1997) Alpha cell neogenesis in an animal model of IDDM. Diabetes, 46(4):599-606. Balasa, B., Deng, C., Lee, J., Bradley, L.M., Christadoss, P., Sarvetnick, N. (1997) IFN- is necessary for the genesis of acetylcholine receptor-induced clinical experimental autoimmune Myasthenia Gravis in mice. Journal of Experimental Medicine, 186(3):385-391. Balasa, B., Krahl, T., Patstone, G., Lee, J., Tisch, R., McDevitt, H.O., Sarvetnick, N. (1997) CD40 ligand- CD40 interactions are necessary for the initiation of insulitis and diabetes in nonobese diabetic mice. Journal of Immunology, 159(9):4620-4627. Shaw, M.K., Lorens, J.B., Dhawan, A., DalCanto, R., Tse, H.Y., Tran, A.B., Bonpane, C., Eswaran, S.L., Brocke, S., Sarvetnick, N., Steinman, L., Nolan, G.P., Fathman, C.G. (1997) Local delivery of interleukin-4 by retrovirus-transduced lymphocytes ameliorates experimental autoimmune encephalomyelitis. Journal of Experimental Medicine, 185(9):1711-1712. Mueller, R., Davies, J.D., Krahl, T., Sarvetnick, N. (1997) Interleukin-4 expression by grafts from transgenic mice fails to prevent allograft rejection. Journal of Immunology, 159(4):1599-1603. Jones, E.M., Sarvetnick, N. (1997) Islet regeneration in IFN- transgenic mice. Hormone and Metabolic Research, 29(6):308-310. Mueller, R., Bradley, L.M., Krahl, T., Sarvetnick, N. (1997) Mechanism underlying counter-regulation of autoimmune diabetes by IL-4. Immunity, 7(3):411-418. Ohasi, P.S., Sarvetnick, N. (1997) Autoimmunity a bias from tolerance to immunity. Current Opinion in Immunology, 9(6) 815-817. Geiger, K.D., Nash, T.C., Sawyer, S., Krahl, T., Patstone, G., Reed, J.C., Krajewski, S., Dalton, D., Buchmeier, M.J., Sarvetnick, N. (1997) Interferon-gamma protects neurons against herpes simplex virus type-1 mediated neuronal death. Virology 238(2):189-197. Jones, EM, Sarvetnick, N. (1997) Balance between autoimmune destruction and regeneration: dual activities of IFN-g in wound healing and inflammation. Pancreatic Growth and Regeneration, (Sarvetnick, N. ed.). RG Landes Company, Georgetown TX. pp.108-114. Krakowski, M, Sarvetnick, N. (1997) Perspectives in Pancreatic Development. Pancreatic Growth and Regeneration. (Sarvetnick, N. ed.). R.G. Landes Company, Georgetown TX. Pages X-XI. Sarvetnick, N. (1997) Edited Pancreatic Growth and Regeneration. RG Landes Company, Georgetown TX. King, C., Sarvetnick, N. (1997) Organ-Specific autoimmunity. Current Opinion in Immunology, 9(6):863-871. Falcone, M, Sarvetnick, N. (1997), “Transgenic models in autoimmunity.” Immunologically mediated endocrine diseases. R. Gill et al. Lippincott-Reven. Balasa, B., Sarvetnick, N. (1998) Cytokines and Insulin-Dependent Diabetes Mellitus: Implications for Etiology and Therapy. Drug News & Perspectives, 11:356-360. King, C., Davies, J., Mueller, R., Lee, M., Krahl, T., Yeung, B., O'Connor, E., Sarvetnick, N. (1998) TGF-1 alters APC preference, polarizing islet antigen response to Th2 phenotype. Immunity, 8(5):601-613. Falcone, M., Lee, J., Patstone, G., Yeung, B., Sarvetnick, N. (1998) B lymphocytes are crucial antigen- presenting cells in the pathogenic autoimmune response to GAD65 antigen in non-obese diabetic (NOD) mice. Journal of Immunology, 161(3):1163-1168. Horwitz, M. S., Bradley, L.M., Harbertson, J., Krahl, T., Lee, J., Sarvetnick, N. (1998) Diabetes induced by Coxsackie virus: Initiation by bystander damage and not molecular mimicry. Nature Medicine, 4(7):781-785. Balasa, B., Deng, C., Lee, J., Christadoss, P., Sarvetnick, N. (1998) The Th2 cytokine IL-4 is not required for the progression of antibody-dependent autoimmune myasthenia gravis. Journal of Immunology, 161(6):2856-2862. Balasa, B., Davies, J. D., Lee, J., Good, A., Yeung, B., Sarvetnick, N. (1998) Interleukin-10 impacts autoimmune diabetes via a CD8+ T cell pathway circumventing the requirement for CD4+ T- and B- lymphocytes. Journal of Immunology, 161(8):4420-4427. Kafri T., Morgan, D., Krahl, T., Sarvetnick, N., Sherman, L., Verma I. (1998) Cellular immune response to adenoviral vector infected cells does not require De Novo viral gene expression: implications for gene therapy. Proceedings of National Academy of Sciences (USA), 95(19):11377-11382. Gallichan, W.S., Kafri, T., Krahl, T., Verma, I.M., Sarvetnick, N. (1998) Lentivirus-mediated transduction of islet grafts with IL-4 results in sustained gene expression and protection from insulitis. Human Gene Therapy, 9(18):2717-2726. Horwitz, M.S., Krahl, T., Fine, C., Lee, J., Sarvetnick N. (1999) Protection from lethal coxsackie virus-induced pancreatitis by expression of gamma interferon. Journal of. Virology, 73(3):1756-1766. Falcone, M., Sarvetnick, N. (1999) Cytokines that regulate autoimmune responses. Current Opinion in. Immunology, 11(6):670-676. Falcone, M, Sarvetnick, N. (1999) The Effect of local production of cytokines in the pathogenesis of insulin- dependent diabetes mellitus. Clinical Immunology, 90(1):2-9. Bradley, L.M., Asensio, V.C., Schioetz, L-K, Harbertson, J., Krahl, T., Patstone, G., Woolf, N., Campbell, I.L., Sarvetnick, N. (1999) Islet-specific Th1, but not Th2, cells secrete multiple chemokines and promote rapid induction of autoimmune diabetes. Journal of Immunology, 162(5):2511-2520. Horwitz, M.S., Sarvetnick, N. (1999) Viruses, host responses, and autoimmunity Immunological Reviews, 169:241-253. Balasa, B. Sarvetnick, N. (1999) Is pathogenic humoral autoimmunity a Th1 response Lessons from myasthenia gravis. Immunology Today, 21(1):19-23. Krakowski, M.L., Kritzik, M.R., Jones, E.M., Krahl, T., Lee, M. Arnush, M. Gu, D. Mroczkowski, B., Sarvetnick, N. (1999) Transgenic expression of EGF and KGF in beta-cells results in substantial morphological changes. Journal of Endocrinology, 162(2):167-175. Shelton, G.D., Calcutt, N.A., Garrett, R.S., Gu, D., Sarvetnick, N., Campana, W.M., Powell, H.C. (1999) Necrotizing myopathy induced by overexpression of interferon-gamma in transgenic mice. Muscle Nerve 22(2):156-165. (1999) Under control of the Ren-1c promoter, locally produced transforming growth factor-1 induces accumulation of glomerular extracellular matrix in transgenic mice. Diabetes, 48(1):182-192. Krakowski, M.L., Kritzik, M.R., Jones, E.M., Krahl, T., Lee, J., Arnush, M., Gu, D., Sarvetnick, N. (1999) Pancreatic expression of keratinocyte growth factor leads to differentiation of islet hepatocytes and proliferation of duct cells. American Journal of Pathology, 154(3):683-691. La Cava, A, Sarvetnick, N., (1999) The role of cytokines in autoimmune diseases. Current Directions in Autoimmunity. (Theofilopoulas, ed.). S. Karger AG, Basel, Witzerland. pp.56-71. Davies, J.D., Mueller, R., Minson, S., O'Connor, E., Krahl, T., Sarvetnick, N. (1999) Interleukin-4 secretion by the allograft fails to affect the allograft-specific interleukin-4 response in vitro. Transplantation, 67(12):1583-1589. Balasa, B., Lee, J., Sarvetnick. N. (1999) Differential impact of T cell repertoire diversity in diabetes-prone or -resistant IL-10 transgenic mice. Cellular Immunology, 193(2):170-178. Falcone, M., Yeung, B., Tucker, L., Rodriguez, E., Sarvetnick, N. (1999) A defect in IL-12 induced activation and IFN- secretion of peripheral NKT cells in NOD mice suggest new pathogenic mechanisms for IDDM. Journal of Experimental Medicine, 190(7):963-972. Gallichan, W.S., Balasa, B., Davies, J.D., Sarvetnick, N. (1999) Pancreatic IL-4 expression results in islet- reactive Th2 cells that inhibit diabetogenic lymphocytes in the nonobese diabetic mouse. Journal of Immunology. 163(6):1696-1703. Kritzik, M.R., Jones, E.M., Chen, Z., Krakowski, M., Krahl, T., Good, A., Wright, C., Fox, H., Sarvetnick, N. (1999) PDX-1 and MSX-2 expression in the regenerating and developing pancreas. Journal of Endocrinology, 163(3):523-530. Davies, J.D., O’Connor, E., Hall, D., Krahl, T., Trotter, J. Sarvetnick, N. (1999) CD4CD45RB low-density cells from untreated mice prevent acute allograft rejection. Journal of Immunology, 163(10):5353-5357. Kreuwel, H., Morgan, D.J., Krahl, T., Ko, A., Sarvetnick, N., Sherman, L.A. (1999) Comparing the relative role of perforin/granzyme versus Fas/Fas ligand cytotoxic pathways in CD8+ T cell-mediated insulin- dependent diabetes mellitus. Journal of Immunology, 163(8):4335-4341. Kritzik, M.R., Krahl, T., Good, A., Gu, D., Lai, C., Fox, H., Sarvetnick, N. (2000) Expression of ErbB receptors during pancreatic islet development and regrowth. Journal of Endocrinology, 165(1):67-77. Kritzik, M.R., Krahl, T., Good, A., Krakowski, M. St.-Onge, L., Gruss, P., Wright, C., Sarvetnick, N. (2000) Transcription Factor Expression During Pancreatic Islet Regeneration. Molecular Cellular Endocrinology, 164(1-2):99-107. Balasa, B., Van Gunst, K., Sarvetnick, N. (2000) The microbial product lipopolysaccharide confers diabetogenic potential on the T cell repertoire of BDC2.5/NOD mice: implications for the etiology of autoimmune diabetes. Clinical Immunology, 95(2):93-98. Horwitz, M.S., La Cava, A., Fine, C., Rodriguez, E., Ilic, A., Sarvetnick, N. (2000) Pancreatic expression of interferon- protects mice from lethal coxsackievirus B3 infection and subsequent myocarditis. Nature Medicine, 6(6):693-697. Krakowski, M., Yeung, B., Abdelmalik, R., Good, A., Mocnik, L., Sosa-Pineda, B., St-Onge, L., Gruss, P. Sarvetnick, N. (2000) IFN-overexpression within the pancreas is not sufficient to rescue Pax4, Pax6 and Pdx-1 mutant mice from death. Pancreas, 21(4):399-406. Balasa, B., Van Gunst, K., Jung, N., Katz, J.D. Sarvetnick, N. (2000) IL-10-Deficiency does not inhibit insulitis and accelerates cyclophosphamide-induced diabetes in the nonobese diabetic (NOD) mouse. Cellular Immunology, 202(2):97-102. Sarvetnick, N. (2000) Etiology of Autoimmunity. Immunologic Research, The Humana Press Inc. 21(2- 3):357-362. Balasa, B., Van Gunst, K., Jung, N., Balakrishna, D., Santamaria, P., Hanafusa, T., Itoh, N., Sarvetnick, N. (2000) Islet-specific expression of interleukin-10 promotes diabetes in nonobese diabetic (NOD) mice independent of Fas, Perforin, TNFR-1 and TNFR-2 molecules. Journal of Immunology, 165(5):2841-2849. Shi, F-D, Takeda, K., Akira, S., Sarvetnick, N., Ljunggren, H-G (2000) IL-18 directs autoreactive T cells and promotes autodestruction in the central nervous system via induction of IFN-by NK cells. Journal of. Immunology, 165(6):3099-3104. Balasa, B., La Cava, A., Van Gunst, K., Mocnik, L., Balakrishna, D., Nguyen, N., Tucker, L., Sarvetnick, N. (2000) A mechanism for IL-10-mediated diabetes in the nonobese diabetic (NOD) mouse: ICAM-1 deficiency blocks accelerated diabetes. Journal of Immunology, 165(12):7330-7337. Balsa B, Sarvetnick N. 2000, Is pathogenic humoral autoimmunity a Th1 response? Lessons from (for) myasthenia gravis. Immunology Today, 21 (1) 19-23. Falcone, M., Yeung, B., Tucker, L., Rodriguez, E., Krahl, T., Sarvetnick, N. (2001) IL-4 Triggers autoimmune diabetes by increasing self-antigen presentation within the pancreatic islets. Clinical Immunology, 98(2):190- 199. King, C., Mueller-Hoenger, R.M., Malo-Cleary, M., Murali-Krishna, K., Ahmed, R., King, E., Sarvetnick, N. (2001) Interleukin-4 acts at the locus of the antigen-presenting dendritic cell (APC) to counter-regulate cytotoxic CD8+ T cell responses. Nature Medicine, 7(2):206-214. Flodstrom, M., Horwitz, M.S., Maday, A., Balakrishna, D., Rodriguez, E., Sarvetnick, N. (2001) A critical role for inducible nitric oxide synthase (NOS2) in host survival following coxsackievirus B4 infection. Virology, 281(2):205-215. Balasa, B., Boehm, B.O., Fortnagel, A., Karges, W., Van Gunst, K., Jung, N., Camacho, S.A., Webb, S.R. Sarvetnick, N. (2001) Vaccination with glutamic acid decarboxylase (GAD) plasmid DNA protects mice from spontaneous autoimmune diabetes and B7/CD28 costimulation circumvents that protection. Clinical Immunology, 99(2):241-252. Liu, G., Pakala, S.V., Gu, D., Krahl, T., Mocnik, L., Sarvetnick, N. (2001) Cholecystokinin expression in the developing and regenerating pancreas and intestine. Journal of Endocrinology, 169(2):233-240. Pakala, S., Ilic, A., Chen, L., Sarvetnick, N. (2001) TNF-receptor 1 (p55) on islets is necessary for the expression of LIGHT on diabetogenic T cells. Clinical Immunology, 100(2):198-207. La Cava, A., Balasa, B., Good, A., Van Gunst, K., Jung, N., and Sarvetnick, N. (2001) H-2D end confers dominant protection from IL-10-mediated acceleration of autoimmune diabetes in the nonobese diabetic (NOD) mouse. Journal of Immunology, 167(2):1066-1071. Shi, F-D, Flodstrom, M., Balasa, B., Kim, S-H., Van Gunst, K., Strominger, J.L., Wilson, S.B., Sarvetnick, N. (2001) Germ line deletion of the CD1 locus exacerbates diabetes in the NOD mouse. Proceedings of National Academy of Sciences, USA, 98(12):6777-6782. Shi, F-D., Ljunggren, H-G., Sarvetnick, N. (2001) Innate immunity and autoimmunity: From self-protection to self-destruction. Trends in Immunology, 22(2):97-101. Shi, F-D, Flodstrom, M., Kim, S.H., Pakala, S., Cleary, M., Ljunggren, H-G., Sarvetnick, N. (2001) Control of the autoimmune response by type 2 nitric oxide synthase. Journal of Immunology, 167(5):3000-3006. Horwitz, M.S., Fine, C., Ilic, A., Sarvetnick, N. (2001) Requirements for viral-mediated autoimmune diabetes: beta-cell damage and immune infiltration. Journal of Autoimmunity, (16(3):211-217. Kritzik, M, Sarvetnick, N. (2001) Pancreatic Stem Cells. Stem Cell Biology, (Eds. D Marshak, RL Gardner, D Gottlieb) Cold Spring Harbor Laboratory Press, Cold Spring Harbor, NY, pp.499-513. Shi, F-D, Sarvetnick, N. (2001) Regulation of autoreactive T cells in myasthenia gravis. Inflammatory Events in Neurodegeneration, (Bondy & Campbell eds. ), Prominent Press, pp.292-307. Camacho, S.A., Heath, W.R., Carbone, F.R., Sarvetnick, N., Lebon, A., Karlsson, L., Peterson, P.A., Webb, S.A. (2001) A key role for ICAM-1 in generating effector cells mediating inflammatory responses. Nature Immunology, 2(6):523-529. Judkowski, V., Pinilla, C., Schroder, K., Tucker, L., Sarvetnick, N., Wilson, D.B., (2001) Identification of MHC class II-restricted peptide ligands, including a glutamic acid decarboxylase 65 sequence, that stimulate diabetogenic T cells from transgenic BDC2.5 nonobese diabetic mice. Journal of Immunology. 166(2):908-917. Kaufman, D.L., Tisch, R., Sarvetnick, N., Chatenoud, L., Harrison, L.C., Haskins, K., Quinn, A., Sercarz, E., Singh, B., von Herrath, M., Wegmann, D., Wen, L., Zekzer, D. (2001) Report from the 1st International NOD Mouse T-Cell Workshop and the follow-up mini-workshop. Diabetes, 50(11):2459-2463. Flodstrom, M., Shi, FD, Sarvetnick, N., Ljunggren, H.G. (2002) The natural killer cell -- friend or foe in autoimmune disease? Scandinavian Journal of Immunology. 55(5):432-441. Krakowski, M., Abdelmalik, R., Mocnik, L., Krahl, T., Sarvetnick, N. (2002) Granulocyte macrophage-colony stimulating factor (GM-CSF) recruits immune cells to the pancreas and delays STZ-induced diabetes. Journal of Pathology, 196(1):103-112. Horwitz, M., Ilic, A., Fine, C., Rodriguez, E., Sarvetnick, N. (2002) Presented antigen from damaged pancreatic cells activates autoreactive T cells in virus-mediated autoimmune diabetes. Journal of Clinical Investigation, 109(1):79-87. Flodstrom, M., Maday, A., Balakrishna, D., Cleary, M., Yoshimura, A., Sarvetnick, N. (2002) Target cell defense prevents the development of diabetes after viral infection. Nature Immunology, 3(4):373-382. Hill, N., Sarvetnick, N. (2002) Cytokines: promoters and dampeners of autoimmunity. Current Opinion in Immunology, 14(6):791-797. Matarese, G., Sanna, V., Lechler, R.I., Sarvetnick, N., Fontana, S., Zappacosta, S., La Cava, A. (2002) Leptin accelerates autoimmune diabetes in female NOD mice. Diabetes; 51(5):1356-1361. Kim, S-H., Cleary, M.M. Fox, H.S., Chantry, D., Sarvetnick, N. (2002) CCR4 bearing T cells participate in autoimmune diabetes. Journal of Clinical Investigation, 110(11):1675-1686. Horwitz, M, Sarvetnick, N. (2002) “Coxsackievirus.” Wiley Encyclopedia of Molecular Medicine, 5 Vol. Set, John Wiley & Sons, Inc., pp.924-926. Hill, N., Van Gunst, K., Sarvetnick, N. (2003) Th1 and Th2 pancreatic inflammation differentially affects homing of islet-reactive CD4 cells in non-obese diabetic (NOD) mice. Journal of Immunology, 170(4):1649- 1658. Flodstrom, M., Tsai, D., Fine, C., Maday, A., Sarvetnick, N. (2003) Diabetogenic potential of human pathogens uncovered in experimentally permissive beta-cells. Diabetes, 52(8):2025-2034. Horwitz, M., Ilic, A., Fine, C., Rodriguez, E., Sarvetnick, N. (2003) Coxsackievirus-mediated hyperglycemia is enhanced by reinfection and this occurs independent of T cells. Virology, 314(2):510-20. Flodstrom,-Tullberg, M., Yadav, D., Hagerkvist, R., Tsai, D., Secrest, P., Stotland, A., Sarvetnick, N. (2003) Target cell expression of suppressor of cytokine signaling-1 (SOCS-1) prevents diabetes in the NOD mouse. Diabetes, 52(11):2696-2700. Kayali, A., Van Gunst, K., Campbell, L., Stotland, A., Kritzik, M., Liu, G., Flodstrom-Tullberg, M., Zhang, Y- Q., Sarvetnick, N. (2003) The stromal cell-derived factore-1/ CXCR4 ligand-receptor axis is critical for progenitor survival and migration in the pancreas. Journal of Cell Biology, 163(4):859-869. Sarvetnick, N., Ohashi, P. (2003) Autoimmunity. Current Opinions in Immunology, 15(6):647-650. Yadav, D., Sarvetnick, N. (2003) Cytokines and autoimmunity: redundancy defines their complex nature. Current Opinion in Immunology, 15(6):697-703. Zhang, Y-Q., Sarvetnick, N. (2003) Development of cell markers for the identification and expansion of islet progenitor cells. Diabetes Metabolism Research and Review, 19(5):363-374. Horwitz, M., Ilic, A., Fine, C. Balasa, B., Sarvetnick, N. (2004) Coxsackieviral-mediated diabetes: Induction requires antigen presenting cells and is accompanied by phagocytosis of beta cells. Clinical Immunology, 110(2):134-144. Jie, H-B., Sarvetnick, N. (2004) The role of NK cells and NK cell receptors in autoimmune disease. Autoimmunity, 37(2):147-153. Judkowski, V., Pinilla, C., Alicotti, G., Flodstrom, M., Sanna, P., Sarvetnick, N. (2004) Strong attraction may be dangerous: parameters for the development of long term commitment. Molecular Immunology, 40(14- 15):1109-1112. Judkowski, V., Krakowski, M., Rodriguez, E., Mocnick, L., Santamaria, P., Sarvetnick, N. (2004) Increased islet antigen presentation leads to type-1 diabetes in mice with autoimmune susceptibility. European Journal Immunology, 34(4):1031-1040. Judkowski, V., Rodriguez, E., Pinilla, C., Masteller, E., Bluestone, J., Sarvetnick, N., Wilson, D. (2004) Peptide specific amelioration of T cell mediated pathogenesis in murine type 1 diabetes. Clinical Immunology, 113:29-37. King, C, Ilic, A, Koelsch, K, Sarvetnick, N. (2004) Homeostatic expansion of T cells during immune insufficiency generates autoimmunity. Cell, 117(2):265-277. Robey, IF, Peterson, M., Horwitz, MS., Kono, DH, Stratmann, T., Theofilopoulos, AN., Sarvetnick, N., Teyton, L., Feeney, AJ. (2004) Terminal Deoxynucleotidyl Transferase Deficiency Decreases Autoimmune Disease in Diabetes-prone NOD Mice and Lupus-prone MRL-Fas (lpr) Mice. Journal of Immunology. 172(7):4624-4629. Zhang, Y-Q., Cleary, M., Si, Y., Liu, G., Eto, Y., Kritzik, M., Dabernat, S., Kayali, A., Sarvetnick, N. (2004) Inhibition of activin signaling induces pancreatic epithelial cell expansion and diminishes terminal differentiation of pancreatic beta-cells. Diabetes, 53(8):2024-2033. Judkowski, V, Allicotti, GM., Sarvetnick, N., Pinilla, C. (2004) Peptides from common viral and bacterial pathogens can efficiently activate diabetogenic T cells. Diabetes, 53(9):2301-2309. Falcone M., Facciotti F., Ghidoli N., Monti P., Olivieri S., Zaccagnino L., Bonifacio, E., Casorati, G., Sanvito, F., Sarvetnick N. (2004) Up-regulation of CD1d expression restores the immunoregulatory function of NKT cells and prevents autoimmune diabetes in non-obese diabetic mice. Journal of Immunology, 172(10):5908-5916. Solomon, M, Sarvetnick, N. (2004) The pathogenesis of diabetes in the NOD mouse. Advances in Immunology, 84:239-264. Yadav, D., Judkowski, V., Flodstrom, M., Sterling, L., Redmond, W., Sherman, L., Sarvetnick, N. (2004) B7- 2 (CD86) controls the priming phase of autoreactive CD4 T cell response against pancreatic islets. Journal of Immunology, 173(6):3631-3639. Flodstrom-Tullberg, M., Hultcrantz, M., Stotand, A., Maday, A., Tsai, D., Fine, C., Williams, B., Silverman, R., Sarvetnick, N. (2005) RNase L and Double-Stranded RNA-Dependent Protein Kinase Exert Complementary Roles in Islet Cell Defense during Coxsackievirus Infection. Journal of Immunology, 174(3):1171-1177. Marleau, A., Sarvetnick, N. (2005) T Cell Homeostasis in Tolerance and Immunity. Journal of Leukocyte Biology. 78(3):575-584. Solomon, M., Flodstrom-Tullberg, M., Sarvetnick, N. (2005) Differences in Suppressor of Cytokine Signaling-1 (SOCS-1) Expressing Islet Allograft Destruction in Normal BALB/c and Spontaneously Diabetic NOD Recipient Mice. Transplantation, 79(9):1104-1109. Kayali A.G., Stotland A., Gunst K.V., Kritzik M., Liu, Guoxun., Dabernat S., Zhang Y-Q., Sarvetnick N. (2005) Growth Factor Induced Signaling of the Pancreatic Epithelium, Journal of Endocrinology, 185:45-56. Zhang Y-Q., Kritzik M., Sarvetnick N. (2005) Identification and Expansion of Pancreatic Stem/Progenitor Cells, Journal of Cellular Molecular Medicine, 90(2):331-344. Horwitz M.S., Ilic A., Fine C., Sarvetnick N. (2005) Induction of Antigen Specific Peripheral Humoral Tolerance to Cardiac Myosin Does Not Prevent CB3-mediated Autoimmune Myocarditis. Journal of Autoimmunity, 25(2):102-11. Martinez X., Kreuwel HT., Redmond WL., Trenney R, Hunter K., Rosen H, Sarvetnick N., Wicker, LS., Sherman LA. (2005) CD8+ T cell tolerance in nonobese diabetic mice is restored by insulin-dependent diabetes resistance alleles. Journal of Immunology, 175(3):1677-85. Kim SH., Gunst KV, Sarvetnick, N. (2006) STAT4/6-dependent differential regulation of chemokine receptors. Clinical Immunology, 118: 250-257. Hua H., Zhang YQ., Arnaud-Dabernat S., Krtizik M., Dietz D., Sterling L, Sarvetnick N. (2006) BMP4 regulates pancreatic progenitor cell expansion through ID2. Journal of Biological Chemistry, 281:13574. Yadav D., and Sarvetnick N. (2006) Co-stimulation and pancreatic autoimmunity: the PD-1/PD-L conundrum. Review of Diabetic Studies, 3: 6-10. Liu G., Dabernat-Arnaud S., Kritzik M.R., Kayali A.G., Zhang Y-Q., Sarvetnick N. (2006) PYY in the expanding pancreatic epithelium. Endocrine, 30:103-112. Horwitz M.S., Knudsen M., Ilic A., Fine C., Sarvetnick N. (2006) TGF-beta inhibits Coxsackievirus-mediated autoimmune myocarditis. Viral Immunology 19: 722-733. Arnaud-Dabernat S, Kritzik M., Kayali A.G., Zhang Y.-Q, Liu G., Ungles C., and Sarvetnick N. (2007) FGFR is a negative regulator of the expansion of pancreatic epithelial cells. Diabetes, 56:96-106. Yadav D., Fine C., Azuma M., and Sarvetnick N. (2007) B7-1 mediated co-stimulation regulates pancreatic autoimmunity. Molecular Immunology 44: 2616-2624. Yadav D., and Sarvetnick N. (2007) Immunomodulation of the anti-islet CD8 T cell response by B7- 2, Journal of Clinical Immunology 27:221-226. Hill N.J., Hulcrantz M., Sarvetnick N., and Flodstrom-Tullberg M. (2007) The target tissue in autoimmunity– an influential niche. European Journal of Immunology 37: 589-597. Hill N.J., Stotland A.B., and Sarvetnick N. (2007) Distinct regulation of autoreactive CD4 T cell expansion by interleukin-4 under conditions of lymphopenia. Journal of Leukocyte Biology, 81: 757-765. Hill N.J., Stotland A.B., Solomon M., Secrest P., Getzoff E., and Sarvetnick N. (2007) Resistance of the target islet tissue to autoimmune destruction contributes to genetic susceptibility in Type 1 diabetes. Biology Direct, 2: 5. Yadav D, and Sarvetnick N. (2007) B7-2 regulates survival, phenotype and function of antigen presenting cells. Journal of Immunology, 178:6236-6241. Arnaud-Dabernat S., and Sarvetnick N. (2007) Tyrosine kinase receptors are crucial for normal beta cell development and function. Expert Review of Endocrinology & Metabolism 2(2): 175-183. Hua, H and Sarvetnick, N. (2007) Id2 promotes the expansion and survival of growth-arrested pancreatic Beta cells. Endocrine, 32: 329-337. Hua H and Sarvetnick N. (2008) Expression of Id1 in Adult, Regenerating and Developing Pancreas. Endocrine, 32: 280-286. Zhang Y.-Q., Sterling L., Stotland A., Hua H., Kritzik M., and Sarvetnick N. (2008) Nodal and Lefty signaling regulates the growth of pancreatic cells. Developmental Dynamics, 237: 1255-1267. Datta S., Sarvetnick N. (2008) IL-21 limits peripheral lymphocyte numbers through T cell homeostatic mechanisms. Plos One, 3 (9) e 3118. Arnaud-Dabernat S., Yadav D., and Sarvetnick N. (2008) FGFR3 contributes to intestinal crypt cell growth arrest. Journal of Cellular Physiology 21: 261-268. Datta S. and Sarvetnick N. (2009) Lymphocyte proliferation in Immune mediated Diseases. Trends in Immunology, 30(9):430-8. Zhang Y., Resta S., Jung B., Barrett K., Sarvetnick N. (2009) Up-regulation of Activin Signaling in Experimental Colitis. American Journal of Physiology, 297(4):G768-80. Solomon M., Balasa B., Sarvetnick N. (2010) CCR2 and CCR5 Chemokine receptors differentially Influence the Development of Autoimmune Diabetes in the NOD Mouse. Autoimmunity, 43(2):156-163. Dabernat S., Secrest P., Peuchant E., Moreau-Gaudry F., Dubus P., Sarvetnick N. (2009) Lack of beta- catenin in early life induces abnormal glucose homeostasis in mice. Diabetologia, (8): 1608-17. Kritzik M, Lago C, Kayali A, Dabernat-Arnaud, S, Liu G, Zhang Y, Hua H, Fox H, Sarvetnick N, (2010) Epithelial Progenitor-1 (EP-1) a Novel Factor Associated with Epithelial Cell Growth and Differentiation. Endocrine, 37:312-321. Solomon M, Flodstrom-Tullberg M, Sarvetnick N. (2011) Beta-Cell specific expression of suppressor of cytokine signaling-1 (SOCS-1) delays islet allograft rejection by down-regulating Interferon Regulatory Factor- 1 (IRF-1) signaling. Transpl Immunol, 24:181-188. King C, Sarvetnick N. (2011) The incidence of type-1 diabetes in NOD mice is modulated by restricted flora not germ-free conditions. PloS One, 6:e17049. Marleau AM, Sarvetnick NE, (2011) IL-18 is required for self-reactive T cells expansion in NOD mice. J Autoimmunity, 36(3-4): 263-77. Liu SM, Lee DH, Sullivan JM, Chung D, Jager A, Shum BO, Sarvetnick NE, Anderson AC, Kuchroo VK, (2011) Differential IL-21 signaling in APCs leads to disparate Th17 differentiation in diabetes-susceptible NOD and diabetes-resistant NOD.Idd3 mice. J Clin Invest, 121(11): 4303-10. Boerner BP, Sarvetnick NE, (2011) Type 1 diabetes: role of intestinal microbiome in humans and mice. Ann NY Acad Sci., 1243:103-18. George NM, Day CE, Boerner BP, Johnson RL, Sarvetnick NE, (2012) Hippo signaling regulates pancreas development through inactivation of Yap. Mol Cell Biol., 32(24):5116-28. Yarde DN, Lorenzo-Arteaga K, Corley KP, Cabrera M, Sarvetnick NE (2014) CD28- CD8+ T cells are significantly reduced and correlate with disease duration in juveniles with Type I diabetes. Human Immunology, pii: S0198-8859(14)00424-8. In Press. Harms, R, Lorenzo-Arteaga K, Corley KP, Cabrera M, Sarvetnick NE (2014) Altered CD161bright CD8+ mucosal associated invariant T (MAIT)-like cell dynamics and increased differentiation states among juvenile type 1 diabetics. PLoS One, In Press. George N, Boerner B, Mir S, Sarvetnick NE (2014) Hippo protector protein, Taz, regulates development of pancreatic ducts. Mechanisms of Development, In Revision. Boerner B, George N, Sarvetnick NE (2014) WS6 induces both alpha and beta cell proliferation without affecting differentiation or viability. Journal of Endocrinology. Submitted.